The Crafter's Apprentice: A "thing"
When I made my fused glass monster aliens for my brother, I was told off for not showing a before shot! I forget sometimes that this might be interesting for other people, I kind of assume you all know how to fuse glass, but whilst some of you do, this is a brand new process for others. So, the Wednesday before last I took some photos of the piece I made before it went in the kiln. 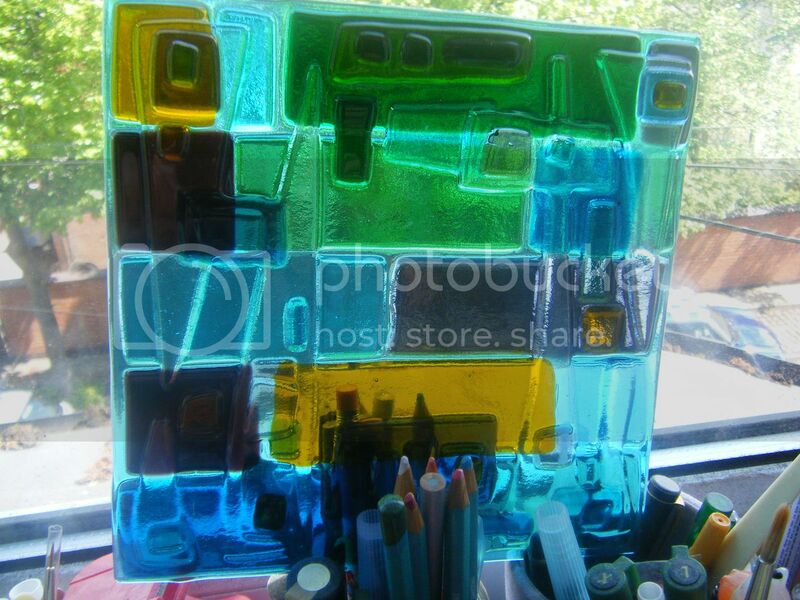 There are two types of glass we use in our classes. 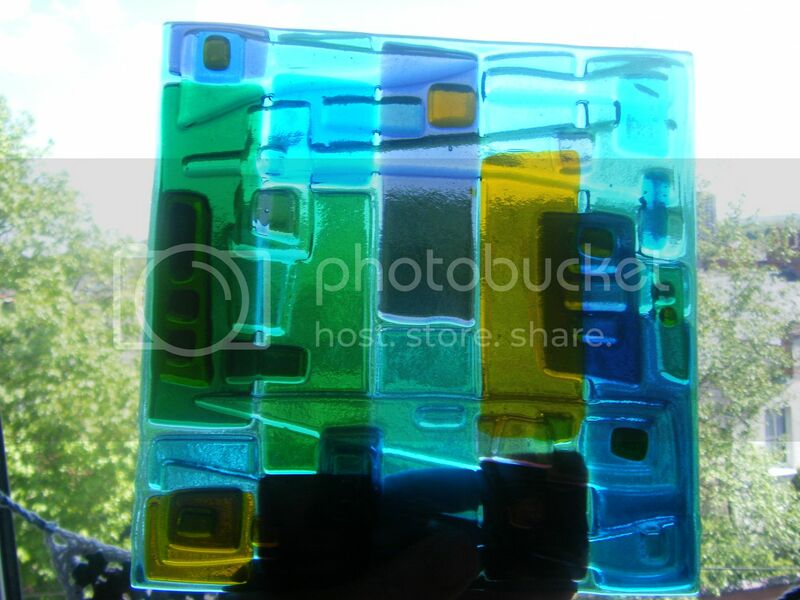 Fusible glass can be put into a kiln and will melt and fuse to itself, creating lovely rounded edges. 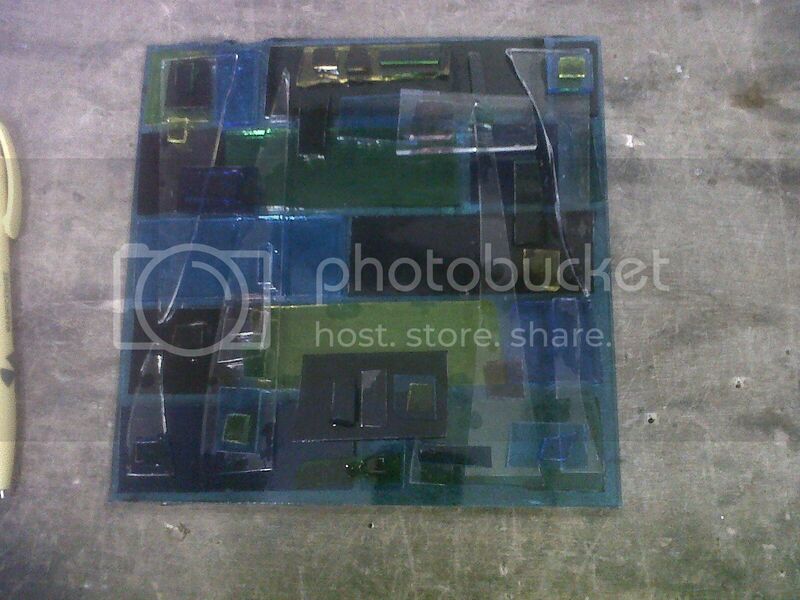 Non-fusible glass is used for leading work or copper foiling. 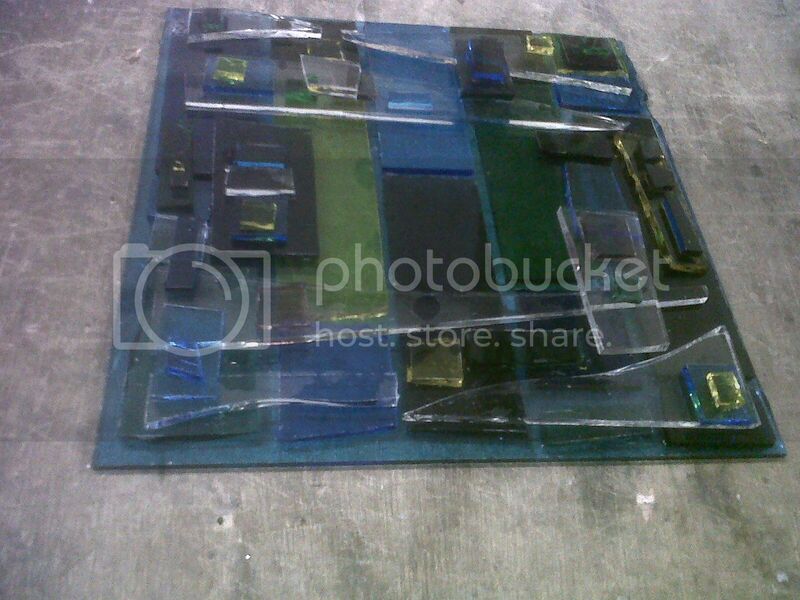 I wanted to use up some of the fusible glass I have so I chose a large piece and cut a square, then just began layering other colours and transparent glass on top. So above is how it looked before it went in the kiln and below is after the kiln. This photo is taken on a white piece of paper and makes the colours look quite thick and very blue. It's so hard to photograph things like this, especially when, like me, you're rubbish at taking photos. I held it up to the light. This shows it off a bit better, but it's still not a great representation. I'm sure you're all now wondering "what is it?". It's a .... thing. Yes, one of those ... things. I'm not sure that pieces of art can be described as a thing. Say it's art. Art dahlink, art don't you know! How are you feeling today then? That is soooo cool and beautiful! I love the colours! It's very Mondrian-like. In my house it would be a thingy, which i think is the same thing as your thing, maybe! 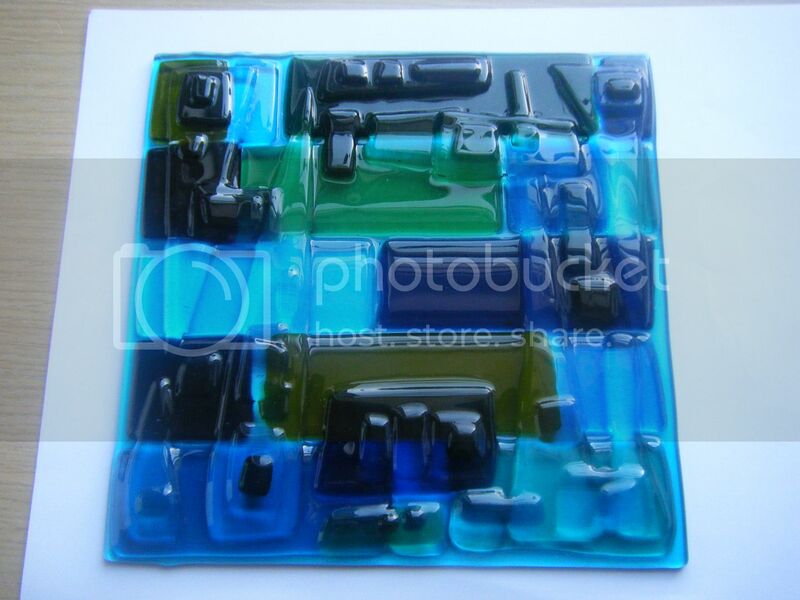 That is SUCH a cool "thing" - I'm glad you posted the before and after pictures - I've never fused glass, although I've fused interfacing to my iron and ironing board by mistake - OOPS! Love the before and after pics, what a cool process! Your 'thing' if gorgeous! love the 3D effect it creates..